Teaching children right from left can be a difficult concept. 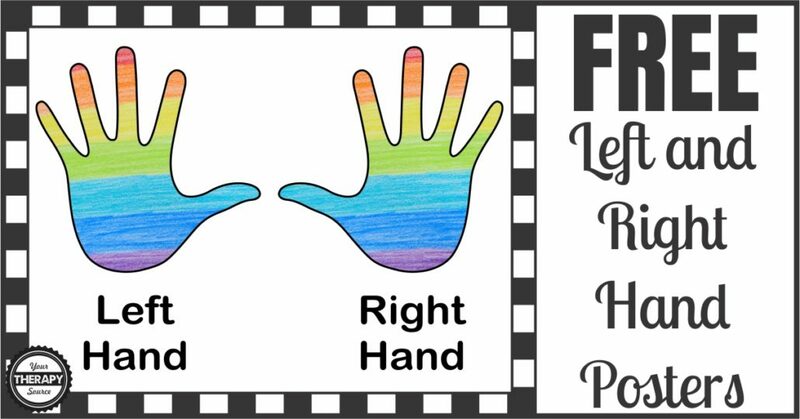 The ability to determine whether you are using your right or left hand requires higher level spatial awareness, body awareness and motor planning skills. 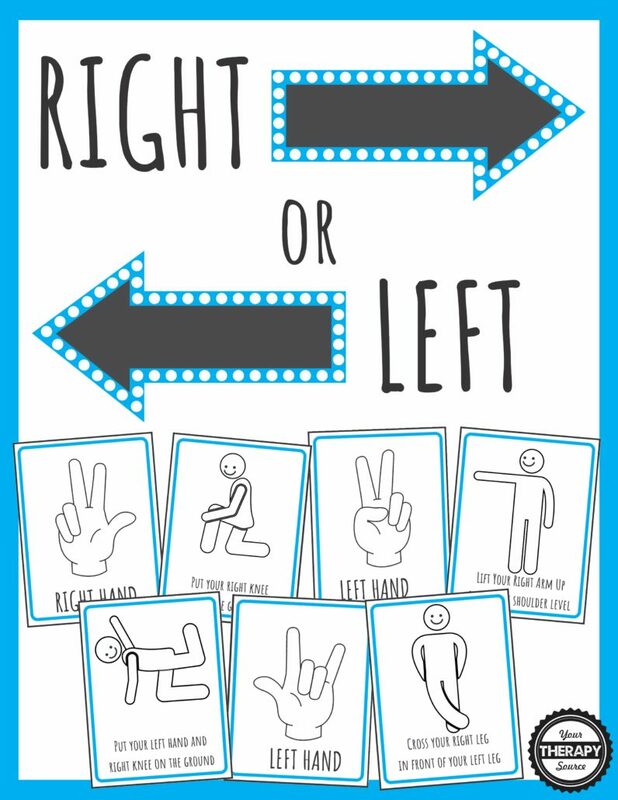 This right or left hand poster is from the Right or Left Games packet. You can download it for free (see below). Hi- 5 Hands: Hang it on the wall. Smack the right hand and say out loud “right hand” repeat with the left hand. Wall Presses: Hang it on the wall. 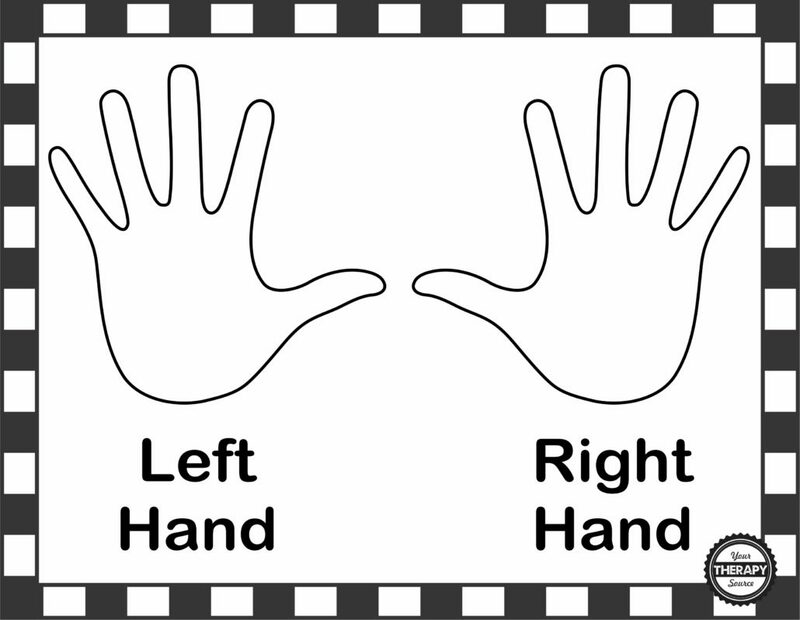 Put your hands over the correct hands and perform wall presses for proprioceptive feedback to provide extra sensory feedback regarding which is the right or left hand. 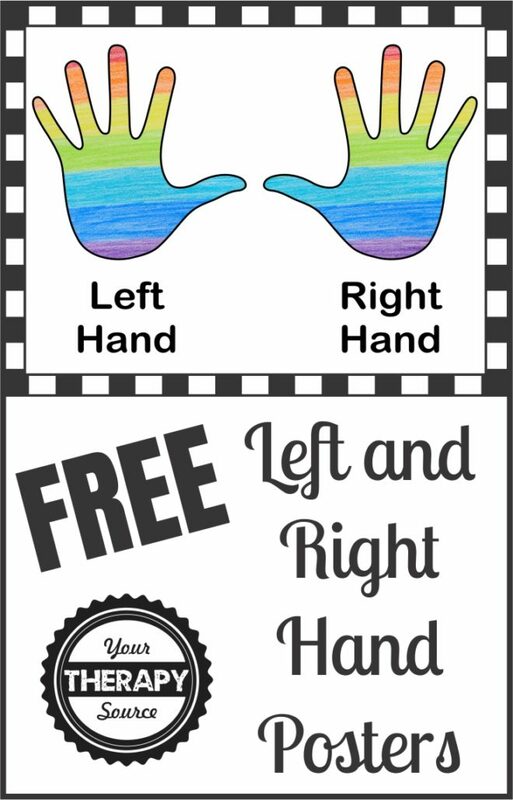 DOWNLOAD YOUR FREE RIGHT OR LEFT HAND POSTER. Check out the complete Right or Left Games packet.